The 2020 Lincoln Corsair will debut later this year, shortly after the sales launch of the three-row Aviator. Those two not only bookmark Lincoln’s ongoing transformation but also lock in stone the much-delayed move to abandon the brand’s flawed flirtation with easy-to-forget model names like MKS and MKX. As one senior executive – who we will mercifully leave unnamed — confided this week, even he had a tendency to forget which model was which. 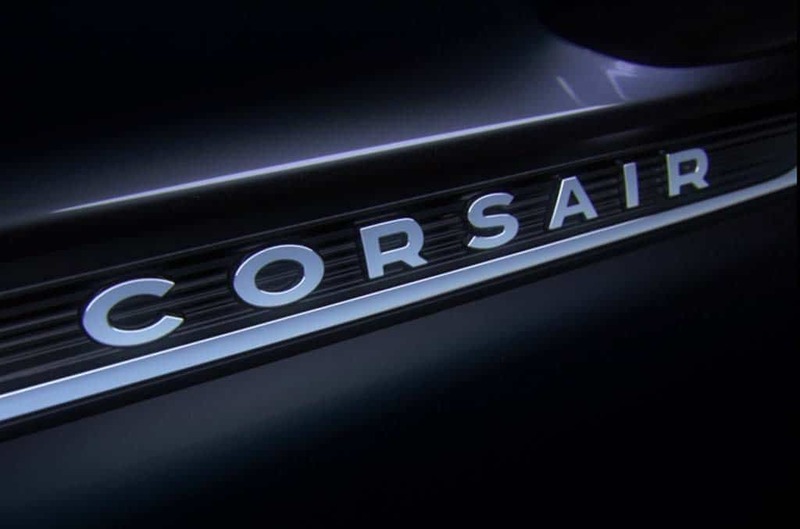 The compact Corsair will be offered initially with two turbo engine options, but a PHEV will follow, and an all-electric version is also in development. 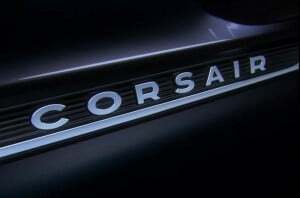 If the Corsair was simply a new name for an old SUV it would help, but not by much. The fact is that this is a complete, top-to-bottom makeover. 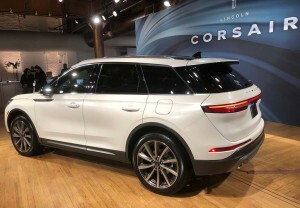 And for those who are ready to dismiss the 2020 Corsair as just a gussied-up version of the also-new Ford Escape, Lincoln officials are quick to point out the numerous ways they have modified their compact crossover so it’s not just an expensive clone. That starts with the distinctive Corsair design, as well as the mult-link rear suspension not found on the Ford crossover. If one does get a sense of déjà vu checking out the Corsair it’s because its silhouette bears a modest resemblance to the second-generation Range Rover Evoque. That’s not bad company to be sharing, of course, and the sharp slope of the Lincoln’s roofline does follow the basic form of the British ute. But the Lincoln has its own distinct design language, with a larger greenhouse – translating into better visibility for drivers and passengers – and a pleasing sort of S-shaped flow to its fenders and side panels. “Human hands worked to develop those sculpted S-curves and sides, all of which play off light and movement. 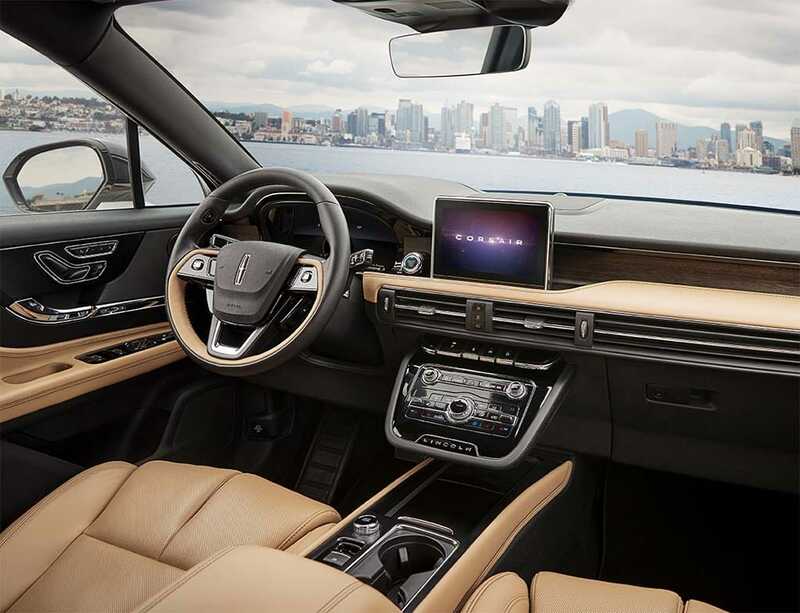 It is virtually sculpture in motion, a vehicle definitely meant to seduce,” says David Woodhouse, Lincoln’s director of design. The horizontal layout of Corsair's instrument panel enhances its apparent width. The hood of the Corsair also flows more gracefully into the grille than most current utes. The new Lincoln is a nudge longer and wider – and a bit lower – than the old MKC. But it just doesn’t have that zaftig bulk of so many current utility vehicles. It just has a fundamental grace, a word that is seldom applicable to utility vehicles. The integrated rear spoiler, which extends well beyond the steeply raked rear hatch glass, emphasizes the way the design team worked to manage aerodynamics without the awkward sort of design details we’ve been seeing on some of the latest Asian SUVs. If there’s anything that might generate controversy it’s the adoption of a floating roof look, with glossy black on all of the pillars, a theme that is rapidly becoming a bit of an industry cliché. Inside, it also adopts a new form language, Woodhouse’s team opting for a horizontal orientation that makes it feel wider and roomier inside. One of the nicer details can be found in the form of the Corsair’s broad, linear air registers. The added length addresses at least one of the old MKC’s shortfalls, a lack of rear seat legroom. Those back seats also can slide, with up to six inches of travel. The cabin is not just more spacious but also markedly more luxurious in appearance. The Corsair grows slightly longer and wider than Lincoln's outgoing MKC crossover. And there’s an emphasis on high technology – no surprise, since vehicles in this class routinely serve as an entry point for first-time luxury buyers. Features like the Sync infotainment system, Apple CarPlay and Android Auto have become as critical to young shoppers as te leather and wood their parents saw as defining a luxury car. One of the more intriguing features clearly meant to give Millennials a thrill is the Corsair’s “Phone as a Key” function. It allows a motorist to leave the conventional keyfob at home and simply rely on their smartphone with the “Lincoln Way” app to enter and even start the vehicle. Up to four people can have these virtual keys, and there’s even a valet mode. The system remembers each user’s preferences for things like climate control, radio station and seat position. The Corsair also features Lincoln’s Co-Pilot 360 suite, with advanced driver assistance features like Lane Keeping Assist and Blind Spot Detection. But other desirable ADAS systems, including Active Cruise Control with Traffic Jam Assist, come with the upgraded Co-Pilot 360 Plus package. For those who want studio-level audio, the Corsair will be offered with a 14-speaker Revel audio system. There’s also an active noise cancellation system, Lincoln’s current strategy focused on what it calls “Quiet Flight.” Features like a double firewall are meant to make the new MKC one of the quietest vehicles in its segment. Ford has now fully abandoned its unloved "MK" nomenclature for classic model names. And like the Aviator, key vehicle tones have been recorded by members of the Detroit Symphony Orchestra. 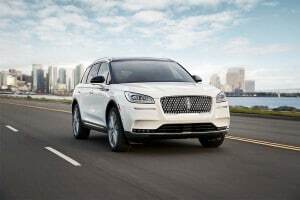 At launch, the 2020 Lincoln Corsair will be offered with a choice of two engines, a base 2.0-liter turbo-four making 250 horsepower and 275 pound-feet of torque, as well as a 2.3-liter turbo-four bumping that up to 280 hp and 275 lb-ft. Both engines are mated to an eight-speed automatic. The 2.0-liter package comes standard with front-wheel-drive. All-wheel-drive is optional with the 2.3 and optional on the base engine. 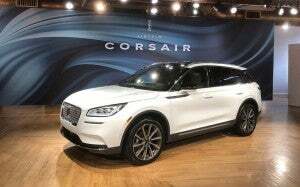 Looking forward, Corsair Chief Engineer John Jraiche told TheDetroitBureau.com that Lincoln “will have” a plug-in hybrid package, as well, available “very soon,” as in most likely during the Corsair’s first year on the market. What hasn’t been finalized is whether the PHEV version will primarily emphasize range or, like the plug-in version of the new Aviator, focus on delivering Corsair’s best performance. Unlike the Escape, however, there are no plans for a conventional hybrid. But look for a fourth powertrain option to surface over the next couple years, Lincoln President Falotico told us. She said there are definite plans to offer a fully electric version of the Corsair, with Jraiche’s engineer team currently moving forward as rapidly as possible. With Lincoln’s global sales finally on the mend, the little Corsair will have a lot to prove for itself. “We have great expectations for this vehicle,” Falotico said. This entry was posted on Wednesday, April 17th, 2019 at and is filed under Auto Shows, Automakers, Automobiles, Business, China, Concept Cars, Crossovers/CUVs, EVs, Electrified Vehicles, First Drive, First Look, Fuel Economy, Infotainment, Lincoln, Luxury Vehicles, Markets, New York, Product Reveals, SUVs, Safety, Safety, Sales, Technology, Technology, Trends, U.S./North America. You can follow any responses to this entry through the RSS 2.0 feed. You can leave a response, or trackback from your own site.